In the United States, the growing inequality between the rich and the poor creates insurmountable barriers to those lacking economic and social resources. Not only does this extend into healthcare, but the American health system itself perpetuates the disparity by framing healthcare as a market service. The dependence of the U.S. on profit-driven insurance companies to mediate healthcare costs and payments creates an unregulated, hodgepodge “market” that drives up costs of everything from routine procedures to hospital stays to pharmaceuticals. Though the consequences of cost affect every American, the well-off—those with the luxury of jobs that provide adequate insurance coverage—are largely shielded from the sticker shock. Meanwhile, millions of lower- and middle-class Americans often face medical bankruptcy when confronted with cancer, an unforeseen accident, or a chronic disease. Rationed care is often considered an issue for those under Medicare/Medicaid, but even middle-class Americans with employer-financed insurance often discover just how flimsy this coverage is when facing an expensive medical emergency. Meanwhile, for all other industrialized nations in the world, universal healthcare—whether delivered through socialized or two-tier public-and-private systems—ensures that no citizen is debilitated financially if debilitated physically. Though access to good healthcare may not allay poverty directly, it allows vulnerable patients the opportunity to recover, return to work, provide for their families, and ultimately contribute to society. While all nations ration care in some form, the U.S. system exacerbates pre-existent disparities by rationing care based on ability to pay. The issue of volume-based, profit-driven healthcare manifests itself in a myriad of ways: physician shortages in underserved areas, the undervaluation of primary care, and the abuse of drugs that fill pockets with money but drown communities with addiction. If the goal of healthcare is to enable our communities to lead healthy lives, how then can we accept that our system itself creates these significant public health issues? 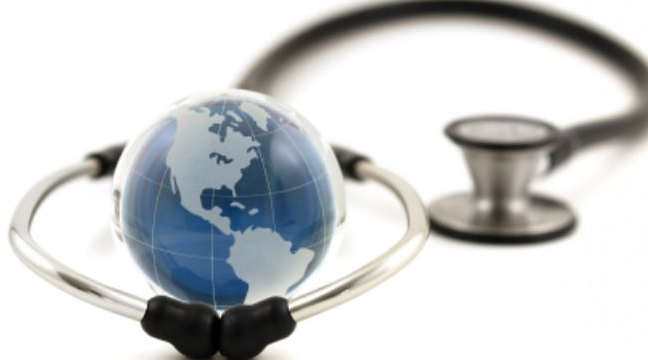 Various international health systems offer examples of how to address these issues currently plaguing pockets of the American population. I have had the opportunity to travel to and work within various health systems outside U.S. borders, and these experiences highlighted the various solutions, infrastructure, and policies other nations use to care for both their rich and their poor. For example, Costa Rica prioritizes socialized, community-based healthcare in which care is not only guaranteed for all citizens, but is made especially convenient by traveling community health workers. I shadowed these ATAPs (Técnicos de Atención Primaria / Primary Care Technicians) as they ventured from home to home to provide free vaccinations, consultations, and standing water checks for mosquito larvae, the key vector for malaria and dengue fever transmission. As the ATAPs build relationships with their designated families over many years, they surpass the role of “clinician” to instead serve as simultaneous practitioners, social workers, and trusted counselors. They serve as the first line of preventative care for Tico families, but they are supplemented by other players—a physician, nurse, medical records technician, and/or pharmacist—that all comprise their EBAIS (Equipo Básico de Atención Integral en Salud/Basic Team of Integrated Healthcare) team. The contrast between Costa Rican and U.S. healthcare was impressionable, if not jarring; Costa Rica clearly elevated primary care as a guaranteed service for all citizens regardless of socioeconomic status, which ultimately cuts costs and extends coverage for the entire nation. Meanwhile, South Africa utilizes a two-tiered system that combines private with extensive public healthcare access. While wealthier South Africans may purchase access to private facilities, an extensive system of public safety-net hospitals and clinics offer free services, medication, and contraception to lower-class citizens. From a public health standpoint, this access is crucial, as the entire nation’s disease burden for HIV/AIDS and tuberculosis is largely dependent on the ability of this targeted population to receive treatment and stifle transmission. Though it became apparent that the government-funded services were inferior to South African private care, they served a much-needed purpose for millions of patients. If these citizens went without care, the entire nation would suffer. While the U.S. also has a smattering of safety-net hospitals throughout the country, recent legislation foreshadows a worrisome outlook for these facilities—an increase in uninsured patients and a decrease in funding to support them. We medical and public health students, practicing physicians, and policymakers in the United States can take pointers from these other nations as we work to alleviate the symptoms of our own system. In reality, U.S. healthcare is booming—it is a business so massive that the industry is projected to engulf 20% of our GDP by 2025. Yet, this increased healthcare spending is reflective of rising costs rather than expanding coverage, and these elevated costs are pricing out lower-income patients even further. In the short term, we can focus our efforts on caring for more vulnerable patient populations or elevating the status of primary care, even if that translates to less money in our pockets. However, to address the issue at its root, we must re-structure the incentives at work within the system. Altruistic physicians may choose to accept lower reimbursement rates in primary care fields or with underinsured patients, but it is the overall undervaluation of these services that creates the inequality in the first place. As we go forward with healthcare reform, guiding principles should protect our most vulnerable, not further decrease their access. Shannon currently works in a microbiology lab, where she studies infectious disease transmission while she applies to MD/MPH programs. She has spent the greater part of her undergraduate career combining her love of biology, public health, and culture by living and studying in Spain and South Africa, as well as embarking on shorter stints to Costa Rica and Panama. Above all, she is passionate about equity, prevention, and innovation in medicine and public health, and she hopes to both witness and initiate change in the American system as a clinician and an advocate. The is the blog of the Northwestern Public Health Review journal. The blog and journal are both student run and contain research articles, opinions, interviews and other content pertaining to public health.